Protect all your clubs with Callaway's stylish and functional iron headcovers. Fitting both right and left handed clubs, the covers slide effortlessly on and off the club head, without slowing you down. Each cover is embroidered with markings from the 4-iron to the PW, X. 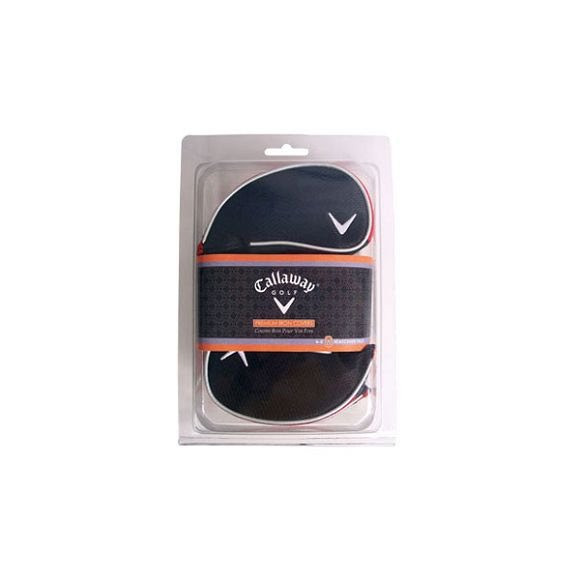 (Set includes 8 headcovers.) *Does not fit FT i-brids, or Big Bertha 3i through 5i. *Does not fit FT i-brids, or Big Bertha 3i through 5i. I took a chance on Bob Ward's because they were quite a bit less expensive than the competition for these Callaway head covers almost 50% less....wow. One word to describe this transaction: Great!....I would definitely consider ordering from Bob Ward's again.